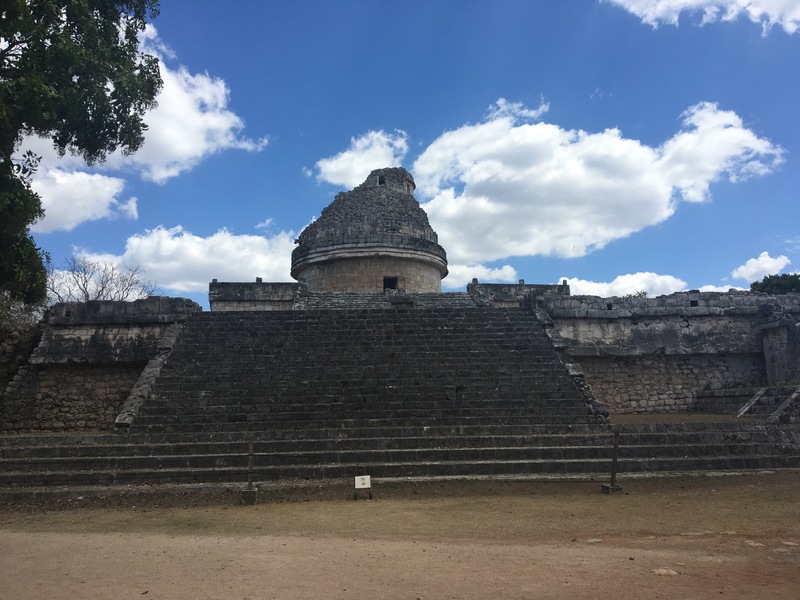 This observatory was built by the Mayans to study astrology. Back over 1,000 years ago the skies were much clearer so they’d observe star movements with a telescope made mainly from sugar cane. Evidence has shown that the Mayans knew about 7 planets, solar eclipses and predicted that in the December 2012 the planets would align, which was misinterpreted as a prediction of the world’s end. In reality they considered this alignment of the planets as a new cultural beginning. This building was the only round building in Chichén Itzá and one of the few found within Mayan ruins.